Hubstaff is a time-tracking platform with in-depth reporting and employee payments. 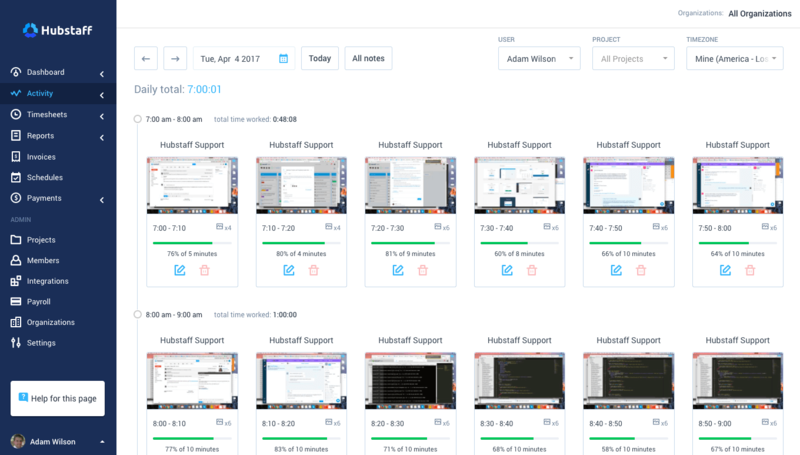 Hubstaff also provides proof of work in the form of screenshots, activity levels, and app/URL and location tracking so you can keep up to date on what your team is working on. It is truly cross-platform with native apps for Windows, Mac, Linux, Android, iOS, Chromebook and a Chrome browser extension. With Hubstaff's Redbooth integration, you can easily track time on Redbooth tasks and get in-depth team reports.